1 So you definitely know how ukulele looks like, but do you know its history? So you definitely know how ukulele looks like, but do you know its history? 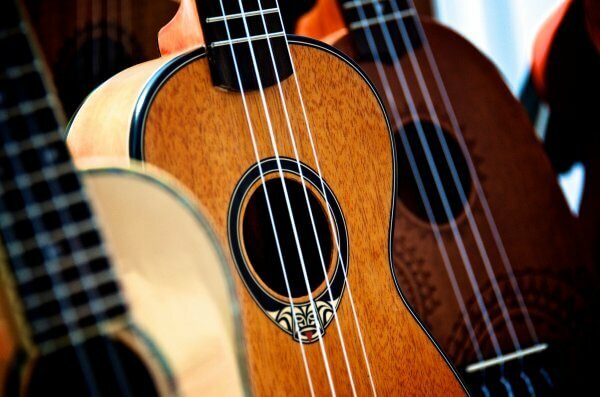 First ukulele was made in Portugal, in 19th century by Manuel Nunes. It was version of Portuguese origin – machete, the cavaquinho, the timple and the rajao. Introduced to Hawaii, by Portuguese immigrants. Was supported and promoted by Hawaiian King Kalakaua, which helped to rise popularity of this great instrument. Was very popular in United States in the early 20th century and now its popularity is growing again. One of the versions of translating word ukulele is “jumping flea” . There is information about second version “the gift that came here” and sometimes abbreviated to “uke”. Is a member of the lute family of instruments. We can name few of greatest uke players and fans : George Formby, Tessie O’Shea, Paul McCartney and George Harrison, Jonah Kumalae, Roy Smeck and Cliff Edwards. 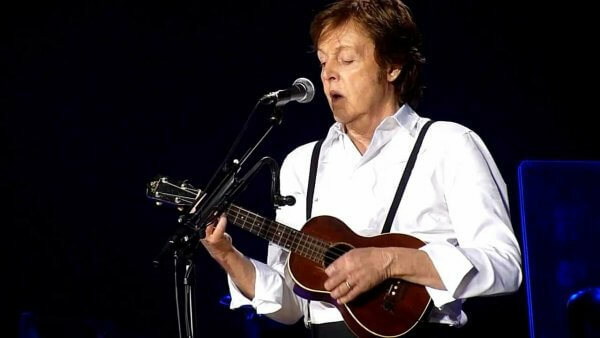 Great Britain even has – Ukulele Orchestra of Great Britain. Ukulele was part of a Jazz age and early county songs. In US and was very popular amongst amateur players in the 1920s. Many stringed-instrumental manufacturers, like Regal, Harmony and Martin added ukulele to their production lines to take advantage of the demand. In 1990s musician Jim Beloff started to promote uke. He wrote over two dozen books featuring modern music as well as classic ukulele pieces. All-time best selling Hawaiian musician Israel Kamakawiwo’ole popularized instrument is 1993s. He used Reggae rhythms in his songs, to reach out to the audience. He did it with songs “Over the Rainbow” and “What a Wonderful World”, who reached Billboard’s Hot Digital Tracks chart. In 2000s creation of Youtube helped ukulele raise record high population. One of the first videos was Jakes Shimabukuro ukulele rendition of George Harrison’s “While My Guitar Gently Weeps”. The video quickly became popular and received over 14.5 views. People where started to add training videos to Youtube and this made uke to shine. First ukulele was made from wood, but from then variation of materials expanded. Wood stays as best, for its better sound quality. Cheapest guitars are made from plywood or laminate, in some cases with soundboard of a tonewood such as spruce. More expensive ukuleles are made of solid hardwoods such as mahogany. Hawaiians traditionally make ukulele from koa (species of flowering tree, that grows on Hawaiian islands). Typically ukulele have a figure-eight body shape. Looks like small acoustic guitar, have 4 strings or 3-4 paired courses ( 6-8 string ukuleles ) for grater strumming volume. Strings originally where made from catgut, but now main material is nylon polymer. Strings may have many variations in the material with some of the lower strings wound with aluminum and 12 frets. Can have different forms and shapes, like more standard guitar-type ukulele or “pineapple”, boat-paddle, triangular and square form. Shape really depends of imagination of luthier ( guitar-master ). Instrument with 8 strings in four courses are called taropatch ukuleles. Ukuleles with 6 string in four courses, has two single and two double courses and sometimes are called a Lili’u. Name Lili’u are not official, and are just used by the people. Most common uke is soprano and it is often called as standard and less common is sopranino ( pocket uke). Concert size was made in 1920s, shortly after was made tenor version which had more volume and deeper base tone. The baritone was created in 1940s, and most recent introductions are bass (2009) and contrabass (2012). To play uke mediator isn’t used. Ukulele isn’t comparable to regular guitar, it has its own soul and sound. 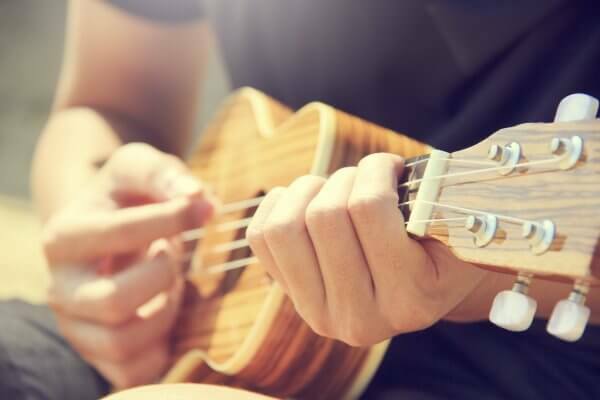 Uke fits more for playing fast and fun motifs like “Train – Hey, Soul Sister”, as a guitar can be used to play more dramatic and serious stuff like “Eagles – Hotel California”. Idea is simple, to get the “right” sound you need to use the right instrument. 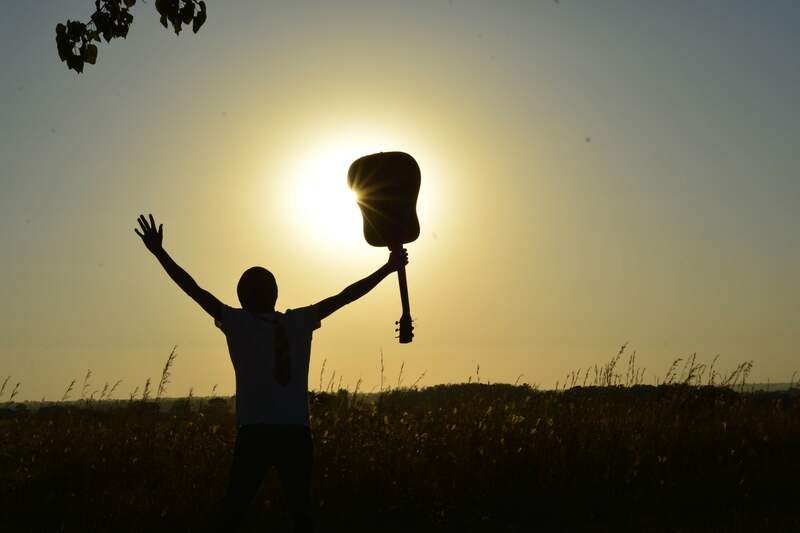 So if you only starting to discover ukulele world for yourself, don’t worry, you will like it. Try to find the “right” instrument!